Reform is needed in architectural education: The complexity of building tasks (new materials, new standards, internationalization, etc.) needs to be practiced more during training. Taking the path of supplementing the course of studies with special subjects does not seem promising; architectural studies would become overloaded and inaccessible to study. 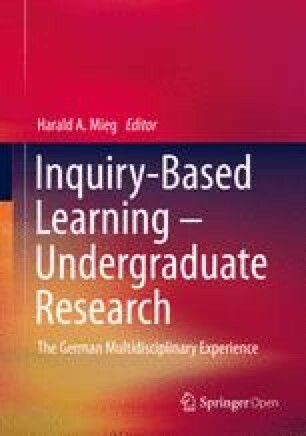 Inquiry-based learning offers an alternative: Students implement their own research projects (often with practice partners) and, in this way, deal constructively with structures and buildings. This article will present, inter alia, a format for inquiry-based learning that could be groundbreaking for architectural education in Germany: the Undergraduate Research Opportunities Program (UROP).